3/3/19-Solo show at Rhizome, DC, Washington D.C.
9/20/18-A Walk in December at Bump n Grind Coffee Shop in Silver Spring, Md. 6/15/17-Solo show at UNZALAB in Milan, Italy. Live Super 8 screening and Video projection. Films screened: Ships passing; London 5; Journal of Drifting Hours Series-A Windy Season, Late Autumn, December in Normandie. 4/24/16-Riverdale Chamber Music Society, Sunday, 2:30-3:30 pm. The Society presents “5×5”: Five Musicians-Five Filmmakers-Five Minutes. Five filmmakers working independently share their reflections of Sergei Prokofiev’s 1924 Quintet for Oboe, Clarinet, Violin, Viola, and Bass. May 18, 2015- London 5, Ships Passing on the Huangpu River, Baoying Window, Winter Trees, Views from Lake Geneva, Trilogy of Summer, and Journal of Drifting Hours (1 reel)live super 8 projection for the Local Filmmaker Showcase at the Hyattsville Library. April 18, 2015-London 5, Ships Passing on the Huangpu River, Baoying Window, Winter Trees, Views from Lake Geneva, Reading Dream within a Dream, Trilogy of Summer, and Journal of Drifting Hours (reel of China, Switzerland, and France-Live Super 8 projection) for The Visual Studies Workshop visiting filmmaker series in Rochester, NY. January 14-March 7 Miniature Landscape Correspondence 1-12 with Una Lee at the Apexart Gallery, NY City This is part of the exhibition On the Sensation of Tone curated by Alistair Noble. January 27, 2014 Ships Passing on The Huangpu River and Afternoon in Jiming Temple at the Anthology Film Archives in NY City. This is part of Tova Beck-Friedman’s Experimental Documentary Series. December 11, 2014 Expanded Cinema Trio –Unedited Super 8 projection of France, Switzerland, Canada, China, and Maryland. Chris Lynn (projector, objects), Dan Barbiero (bass, objects) and Gary Rouzer (cello, clarinet, objects). This is Takoma Arts Series Takoma Arts Center, Takoma Park, MD. September 27, 2014- Video Projection loop of Quebec Summer, London 5, Ships Passing on the Huangpu River, Winter Views from Le Havre for Nuit Blanche (Art All Night) North Capitol Street, Washington D.C.
February 20, 2014 A Rolling Mind and Narita Morning screened at the MLK Library in Washington D.C.
October 6, 2013-this speaker/brush/into the Distance-Expanded Cinema Event at Atlas in Washington DC with Amptext-Live Super 8 Projection with sounds, objects, and field recordings. August 24, 2013-London 5-screened for Sonic circuits benefit at Pyramid Atlantic, Silver Spring , Md. August 3, 2013-Trilogy of Summer-Dog Dayz Festival Union Arts, Washington, D.C.
January 25, 2013-Expanded Cinema event with Khristian Weeks, Layne Garrett, Amanda Hurron at Crittended, Washington D.C. Live Super 8 Projection mixed with digital projection of Carderock Sunday, Afternoon Rain in Nanjing, and Journal of Drifting Hours reel 3. December 15, 2012-Windows and Clouds with Sonic Circuits. at Pyramid Atlantic, Silver Spring, Md. December 2-18thReading Dream Within A Dream- screened for the International Streaming Festival in the Netherlands. June 1, 2011Reading Dream Within a Dream( 2010) screened at the BFI as part of Robert Robertson’s lecture on Eisenstein. April 14G7034(2010)-screened for pictures on the Plaza at the Silver Spring Civic Auditorium. This event was hosted by Pyramid Atlantic Gallery in Silver Spring. April 9Reading Dream Within A Dream(2010)-screened at the Heritage Film Festival in Maryland. Reading Dream within a Dream (2010) screened September 25, 2010 at Pyramid Atlantic Gallery, Silver Spring , MD, for The Big Read Program Celebrating Edgar Allan Poe. Lianyungang(2010)-screened opening night of The Takoma Park/Silver Spring experimental film Festival-May 6, 2010. Suzhou/Shanghai (2009)-screened at the Heritage Film Festival in Maryland, April 9, 2010. Clouds and The Docklands (2006) screened at the Foundry London, UK for the program How We Are-March 21, 2010. Nanjing Sunday(2008) and Divers(2008) included in the Ecstatic Landscapes program . A film program to accompany the UK launch and readings from Eisenstein on the Audiovisual by Robert Robertson. at the British Film Institute, London December 9, 2009. Clouds and the Docklands(2006), Nanjing Sunday(2008) Divers(2008) Maryland Songs 1(2008) London 5(2007) Winter Movement(2005) and Storm in Siyang(2009) solo show at Pyramid Atlantic Gallery December 5, 2009. A Winter’s Tale (2009) screened at The Streaming Film Festival, the Hague, Netherlands. November20-30. London 5 (2007) screened at The Anthology Film Archives, NY. August 18, 2009. August (2008) screened at Artomatic, Washington, DC. June 18 and 13, 2009. Three Harmonies from Suzhou(2008) and August(2008)-screened at the Heritage Film Festival, MD, April 3 and 4. A Winter’s Tale(2009) and Divers(2008) screened at Pyramid Atlantic Gallery in Maryland, March 28. Storm In Siyang (2009) screened at the Utopia Film Festival, Greenbelt, MD, October 24. Three Harmonies From Suzhou ( 2008), Quebec Summer(2008), and August(2008) screened at the Pyramid Atlantic Store in Silver Spring, December 12, 2008. Clouds and the Docklands(2006) screened at the Calder in London for the program The Other America, November 21, 2008. 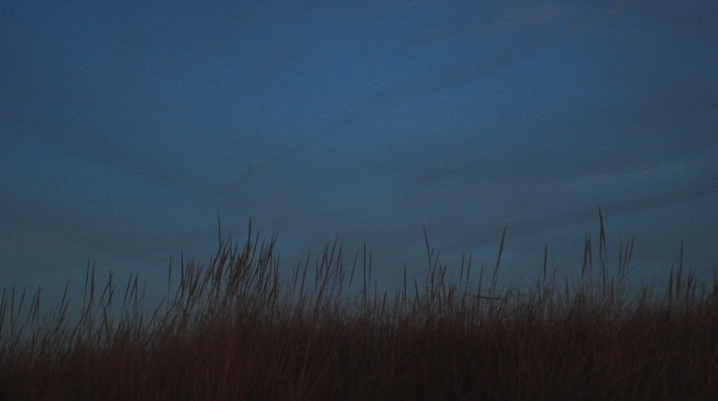 Maryland Songs 1 (2007) screened at the Streaming Festival in the Hague, Netherlands, October 23-26, 2008. Nanjing Sunday(2008) screened at the Utopia Film Festival in Greenbelt, MD, October 25, 2008. Nanjing Sunday(2008) August(2008) and Quebec Summer(2008) screened for Greenbelt’s Art Walk, October 16, 2008. Divers(2008) and On My Way to the Cinema(2008) screened for Greenbelt’s Art Walk, May 22, 2008. Divers(2008) screened at the Heritage Film Festival, Maryland, April 5, 2008. Divers(2008) screened at the AMC Academy 8, February 21, 2008. Divers(2008) Clouds and the Docklands(2006) and London 5 (2007) screened at the Lighthouse, Washington, DC, January 19, 2008. Clouds and the Docklands(2006) and London 5(2007) screened at Eyedrum in Atlanta, GA, December 9, 2007. London 6 (2007) screened at the Utopia Film Festival, October 27, 2007. Maryland Songs 1(2007) screened at the Calder in London on July 21, 2007. London 1-5(2007) and Maryland Songs 1(2007) screened at Artomatic in Washington, DC May 18, 2007. Clouds and the Docklands(2006) and London 5(2007) will be screened at the Foundry in London, May 18, 2007. London 5(2007) screened at the Heritage Film Festival, Maryland, March 31, 2007. The Seasonal Quartet(2005) screened at the Liverpool Biennial, November 23, 2006. Autumn Movement (2005) screened at The Tank-New York Experimental, November 19, 2006. Clouds and the Docklands(2006) screened at the Utopia Film Festival, Greenbelt, October 28, 2006. Winter Movement 1(2005) screened at the Corcoran Art Gallery, Washington, DC, September 27, 2006. Untitled Poem(2006) and London 1-3(2006) screened at the London Biennale Migration and Exile show-August 14-September 4 2006. The Seasonal Quartet(2005) screened at the London Biennale in Arcadia-July 13-August 11, 2006. Winter Movement (2005) screened at the Landscape and Art Gallery London, June 13, 2006. Autumn Movement (2005) Screened at the Heritage Film Festival, Maryland, March 25, 2006. Seasonal Quartet (2005)screened at the Nowuno Gallery, Washington, DC, January 21, 2006. Seasonal Quartet (2005) screened at the Utopia Film Festival, November 11, 12, and 13 2005. Winter Movement (2005) screened at Calder, London, June 24, 2005. Afternoon Song (2004) screened at Cafe Creme for Fresh Films, London, April 26, 2005. January 2003(2003) screened at the New Deal Cafe , April 6, 2005. Afternoon Song and Reading Rilke screened for Artist Television in San Francisco February 18th 2005. Reading Rilke (2004) screened at Genesis Cinema for London Poetry Night, February 7, 2005. Reading Rilke(2004) and Afternoon Song (2004) screened at the Old Greenbelt Theatre, September 5, 2004. Afternoon Song(2004) screened at Exploding Cinema London , September 11, 2004. 8 Umbrellas (2003) Screened at the Creative Swing, London, July 11, 2004. Reading Tolstoy(2004) screened at the Exploding Cinema, London June, 1, 2004. Reading Tolstoy(2004) screened at the Creative Swing, London, May 16, 2004. 8 Umbrellas(2003) and Negative Cyclist(2003) screened at the Old Greenbelt theatre, August 31, 2003. The Coast and the Canyon(2002) A few Places in New England(2002) Possibilities in November(2002) screened at the Old Greenbelt, Theatre August 31, 2002. Massive Antiques (1996) University Of Maryland Hoff Theater-November 2006.